The Joseph Smith Translation (JST; also called the Inspired Version (IV)) is a revision of the Bible by Joseph Smith, the founder of the Latter Day Saint movement. Smith considered this work to be "a branch of his calling" as a prophet. Smith was murdered before he ever deemed it complete, though most of his work on it was performed about a decade beforehand. The work is the King James Version of the Bible (KJV) with some significant additions and revisions. It is considered a sacred text and is part of the canon of Community of Christ (CoC), formerly the Reorganized Church of Jesus Christ of Latter Day Saints, and other Latter Day Saint churches. Selections from the Joseph Smith Translation are also included in the footnotes and the appendix in the LDS-published King James Version of the Bible, but The Church of Jesus Christ of Latter-day Saints (LDS Church) has only officially canonized certain excerpts that appear in its Pearl of Great Price. These excerpts are the Book of Moses and Smith's revision of part of the Gospel of Matthew. The term "translation" was broader in meaning in 1828 than it is today, and Smith's work was at the time considered a revision of the English text, rather than a translation between languages. It is known that Smith had not studied Hebrew or Greek to produce the JST manuscript, although Smith did later study Hebrew from 1836. Some scholars consider that Smith had access to Old Testament pseudepigrapha and included insights from these texts in his translation. In 1866, Emma Smith gave the manuscript into the custody of the Reorganized Church of Jesus Christ of Latter Day Saints (RLDS Church), of which she was a member, and her son Joseph Smith III the prophet–president. In 1867, the RLDS Church published the first edition of the JST and obtained a copyright for it. The RLDS Church, now known as the Community of Christ, still retains the original manuscripts and publishes the Inspired Version through its publishing arm, Herald House Publishing. The copyright has expired on the 1867 edition and a bound photo reproduction of that edition is published by a private concern. In 1944, the RLDS Church issued a "new corrected edition" that eliminated some of the errors made in the original 1867 edition. ↑ Craig Blomberg and Stephen E. Robinson, How Wide the Divide? : A Mormon and an Evangelical in Conversation p. 64: "In 1828 the word translation was broader in its meaning than it is now, and the Joseph Smith translation (JST) should be understood to contain additional revelation, alternate readings, prophetic commentary or midrash, harmonization." ↑ H. Michael Marquardt, The rise of Mormonism, 1816–1844 2005 p. 326: "Joseph Smith's work is a revision rather than a translation, since church members knew that Joseph Smith had not studied Hebrew or Greek to produce his manuscript." ↑ Journal of Mormon History, volumes 17–18 1991: "Joseph Smith studied Hebrew under Jewish scholar Joshua Seixas, in the Mormon city of Kirtland, Ohio". ↑ Joseph Smith (Joseph Fielding Smith ed. 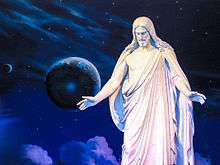 ), Teachings of the Prophet Joseph Smith, 16 February 1832, pp. 10–11. See also the LDS Church's "Eighth Article of Faith", which states: "We believe the Bible to be the word of God as far as it is translated correctly". ↑ LDS Doctrine and Covenants 9:8. ↑ Flake, Kathleen. "Translating Time: The Nature and Function of Joseph Smith's Narrative Canon", Journal of Religion 87, no. 4 (October 2007): 497–527. (accessed February 22, 2009). ↑ LDS Doctrine and Covenants 128:18. ↑ Philip Barlow, Mormons and the Bible: The Place of the Latter-day Saints in American Religion. New York, NY: Oxford University Press, 1991. ↑ Robert J. Matthews, "A Plainer Translation": Joseph Smith's Translation of the Bible—A History and Commentary. Provo, Utah: Brigham Young University Press, 1975, p. 391. ↑ Robert J. Matthews, "A Plainer Translation": Joseph Smith's Translation of the Bible—A History and Commentary. Provo, Utah: Brigham Young University Press, 1975, p. 215. ↑ Royal Skousen. "The earliest textual sources for Joseph Smith's "New Translation" of the King James Bible." FARMS Review 17, no. 2 (2005): 456–70. ↑ Guide to the Scriptures: Joseph Smith Translation (JST). ↑ Robert J. Matthews, "A Plainer Translation": Joseph Smith's Translation of the Bible—A History and Commentary. Provo, Utah: Brigham Young University Press, 1975, p. 424. ↑ Welch, John W. The Sermon on the Mount in the Light of the Temple. Farnham, England: Ashgate, 2009. ↑ Matthews, Robert (1971). "The Bernhisel Manuscript Copy of Joseph Smith's Inspired Version of the Bible". BYU Studies. 11 (3). Retrieved 29 September 2016. ↑ Sherry, Thomas E. "Changing attitudes toward Joseph Smith's translation of the Bible," in Plain and Precious Truths Restored: The Doctrinal and Historical Significance of the Joseph Smith Translation, edited by Robert L. Millet and Robert J. Matthews, 187–226. Salt Lake City, Utah: Deseret Book, 1995. ↑ Howard, Richard P. Restoration Scriptures. Independence, Missouri: Herald House, 1969. ↑ Robert J. Matthews "A Plainer Translation": Joseph Smith's Translation of the Bible—A History and Commentary. Provo, Utah: Brigham Young University Press, 1975. ↑ Scott H. Faulring, Kent P. Jackson, and Robert J. Matthews, eds. Joseph Smith's New Translation of the Bible: Original Manuscripts. Provo, Utah: Religious Studies Center, Brigham Young University, 2004. ↑ Scott H. Faulring, Kent P. Jackson, and Robert J. Matthews, eds. Joseph Smith's New Translation of the Bible: Original Manuscripts. Provo, Utah: Religious Studies Center, Brigham Young University, 2004, p. 39. ↑ Skinner, Andrew C. (June 1999). "Restored Light on the Savior's Last Week in Mortality". Ensign: 21. Retrieved 2008-09-22. The Joseph Smith Translation for the e-Sword Bible program.